I got a lot of requests for my actual race schedule so I thought I would share that with you guys. This is all while I’m back home and there are a few more that I haven’t looked at exact dates for but I know I’ll be doing them. Mostly open water swims because it depends on currents and all that jazz…not that I’m sure you wouldn’t mind if I washed out to sea. 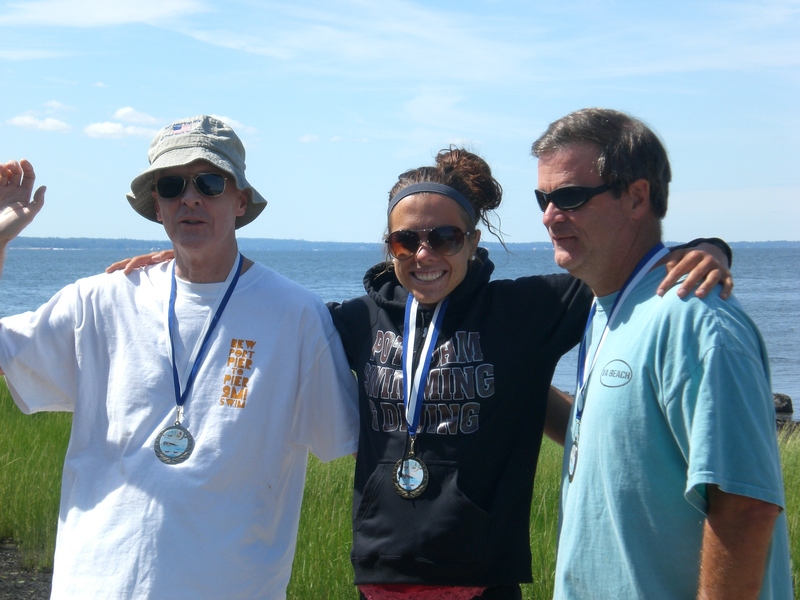 oh hey father and I have kinda done this race like 5 years in a row. just because it came from this race and I know you love it. July 5th: Summer Series I Count down Race (This is pretty neat that they start the clock at an hour and you pick when you think you will finish about 4 miles. So if you are running an 8 minute pace it would take you 32 minutes and you would leave when the clock gets to 32 minutes) This is more of a fun time more than a race. July 12th! Summer Series II This is going to be the bomb.com. Do you know why? It’s my 21st birthday. There is relay road race where you are randomly assigned two other people. The people on my relay better realize we are wearing 21 crowns and sashes. Oh yes and the best part is there is free beer at the end. Could my 21st work out anymore perfectly? July 16th: Allen Stone Run-Swim-Run. This is my big race of the season. 1k run on the beach followed by a 1k ocean swim then 5k on the boardwalk. 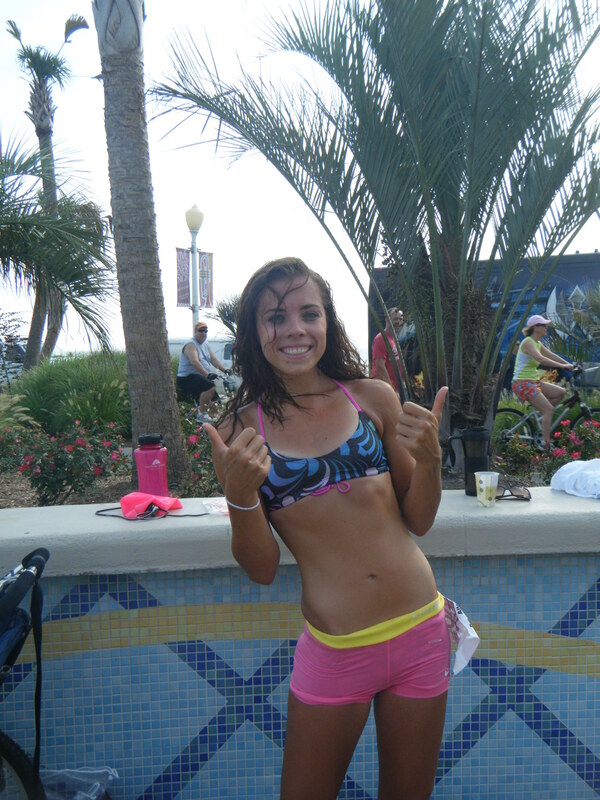 Last year I won first for females…this year I’m hoping to do the same. 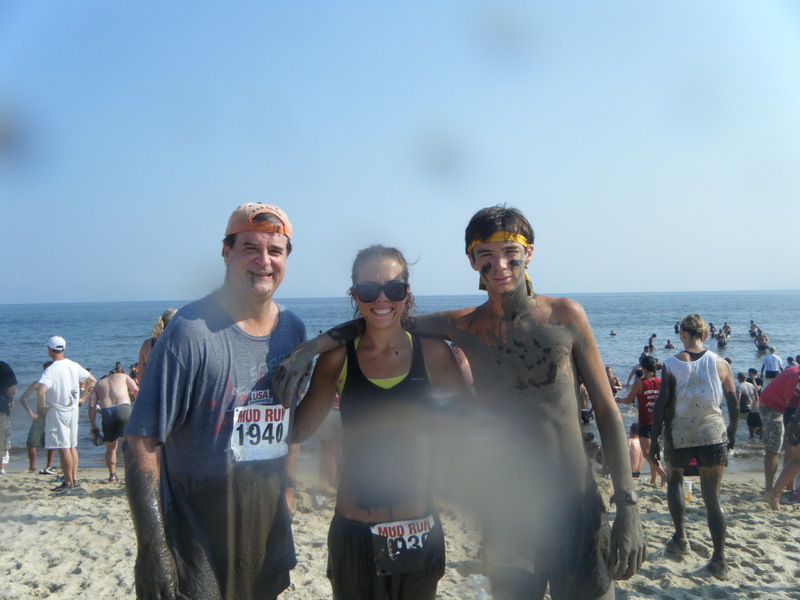 August 13th: Mud Run 8k. Another fun run full of muddy obstacles and muddy joys. My dad and I do it as a team. 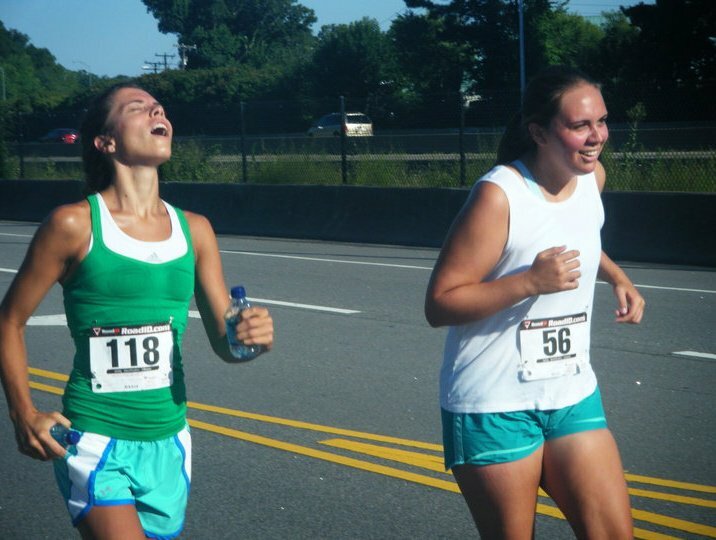 What races are you doing this summer? Is your family your BFFS and biggest supporters? Well I am not signed uo for anythign yet..but you just inspired me with all those races! Dang girl! You are an amazing athlete!!! Did you run cross country in high school too? I just filled out a questionnaire for running cross country in college. I hope I can. So far I am not signed up for any races in the summer. I am looking at a few, but I hope to get a job to pay for them. Hhaha. Haha, your question is SOOO not for anyone who lives in the South. There are two races in my town this month that I’m planning to do, the Race 4 Taylor on the 21st and the Run for the Heroes on Memorial Day, but after that… it’s over. Those races are actually really LATE for this area. Racing is awesome though, I’ll see it again in like October when it cools down a bit here :). Wow it looks like your summer is pretty booked with races – that is awesome! Are you going to be in Norfolk within the next month?! I’m here until May 20th, and I would LOVE to do a blog meetup! Lemme know. Other than that, you have a killer race summer planned! I have one race that I have signed up for…. Haha. But I did sign up for my first half-marathon in the winter, so that’s exciting! Fun fun fun! I want to do a mud run so bad. That countdown race looks rally fun too. We don’t have a ton of races here… There are 2 next month but I’m going to be busy. This is our little race season I guess -march/april/may and then a few in the fall. Is your marathon this summer? Ahhhhh so many fun races!!! You are so so gorgeous and you are going to have an amazing summer of races! Right now what I have registered is grandma’s marathon in june, then the warrior dash and NYC marathon! You have so many races! That is awesome! Holy crap you have a ton of events this summer! Your 21st birthday is going to be great — I can’t wait to see the pictures from that one! The only race I have this summer is my marathon on June 18th! You must be so pumped for the run swim run. I think the mud run sounds fun, I might be able to run in one this summer but that’s only if I don’t go to states. I want to go to states. My family supports my running so much. My dad is missing 2 flyers playoff games and 1 phillies game (he has to go for work) so that he can see me and my sister in our respective sports. My parents make sure at least one of them, but usually two, are at as many races as possible. It will be so weird when I go to college and they aren’t at the finish line of every race! AHHHHHHHHHHHh I want to do the run-swim-run but I will be in Hawaii. Woe is me. Sob. Some of these races sound so fun! I love that they’re all different distances/events. Good luck at your half this weekend!!!! Your Trashmore photo is seriously epic. I definitely want to Mud Run and run-swim-run! I need serious swim work…. Big time. You did the mud run last year?? My team and I won the corporate division! Wow! That’s a lot of races! Good luck with them all!! jeezum you’re going to be one busy lady! i can’t wait to see how you do in all of these! right now i’m just planning on the 10 miler and my mom wants me to walk a 5k with her. there are a few other 5k’s in the area that i’ll probably jump on board with last minute though, it just depends on my crazy work schedule! hahaha. somehow i never realized you were from the VA Beach/williamsburg area! that’s where i’m from. ‘mount trashmore’ makes me laugh. schedule looks amazing. love how you mix it up! Wow! You have tons of summer races! There aren’t an abundance of summer races here in Florida due to the heat I think and I am going to be traveling a lot so I have no races on my schedule until October! I really want to be a sprint triathlon so I am trying to find one that fits into my travel schedule! My family and friends are by far my biggest supporters! 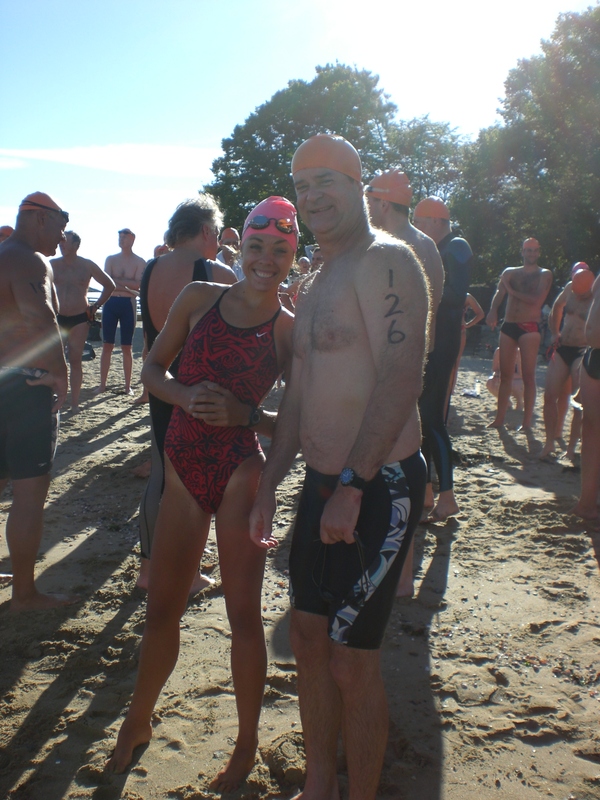 Wow you have a busy summer- I am especially fond of the open water ones! Good luck with all of them. You have a race-packed summer! Sounds great! I have a marathon in 6 days followed by a half-marathon 8 days later and a 10 mile run 2 weeks later. After that, I’m still scheduling. I tend to be kinda last-minute when planning my racing schedule. Good luck on all your races! I wish my family was that active! my brother and I are pretty much the only was that do races.